Northwest Band Camp offers individual and group instruction and performances with outstanding teachers and staff. All of our staff are experienced teachers and musicians. In addition to excellent musical experience, students enjoy a variety of recreational activities in a beautiful environment with students their own age. 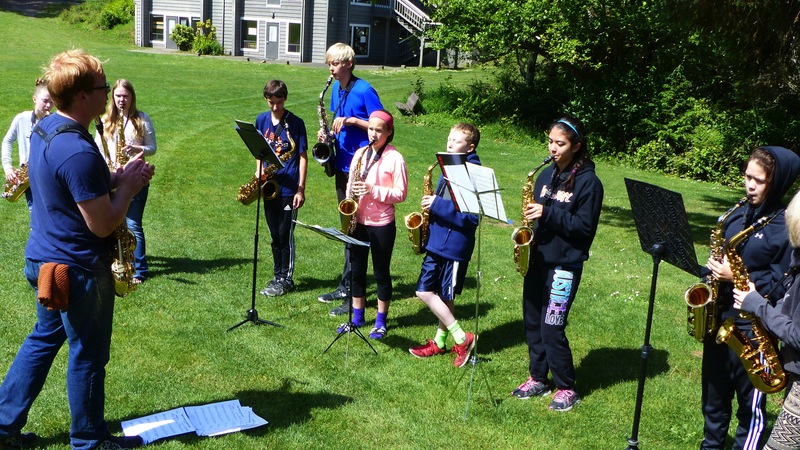 As a result of attending Northwest Band Camp, young musicians will bring home a new loyalty and enthusiasm for both music and for their school bands. In addition to the musical experience, students will make new friends with similar interests that result in lasting memories and relationships. The Northwest Band Camps were founded in 1970 by James Douglass, Director of Bands Emeritus at Oregon State University. Over 50 years of operation, Northwest Band Camp has provided top quality instruction and a memorable summer camp experience that has lasted a lifetime for literally generations of musicians! We have students whose parents and grandparents have attended Northwest Band Camp! It is truly a lifetime experience! - Do the camps have a broad program of activities, including large and small ensembles? - Is there a well-developed and responsible staff for counseling, guidance, and supervision? - Are the living quarters desirable, and is the food of the highest quality? - Are there facilities for recreational and social activities? Northwest Band Camp answers each of these questions with an enthusiastic YES! Supervision is performed by experienced adult counselors in charge of each group to give guidance. The ratio of staff to campers is approximately one staff member to six campers. Join us this summer for Music and a Lot More! * Excerpts from All-Classical Portland FM - Full show can be heard here.